Final approach. 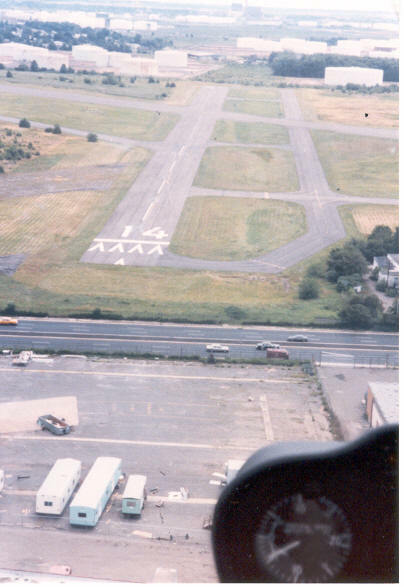 Runway 14 no longer exists and it's loss has severly compromised the safety of a vital general aviation airport. Was it so necessary to build yet another shopping center in the state with most shopping centers in the country? Well, greed will always be with us and hopefully so will the beautiful views of a magnificent city that can only be seen from a general aviation aircraft. We're working to remove all the remaining flight restrictions arising from 9/11 and I'll make this flight again. I won't photograph the rubble of the WTC, my New York is too beautiful and too expansive to concentrate on one destroyed spot. Publishing these photos of New York past is my way of dealing with the horror of that September day, New York future will be the tribute to it's heros and victims.